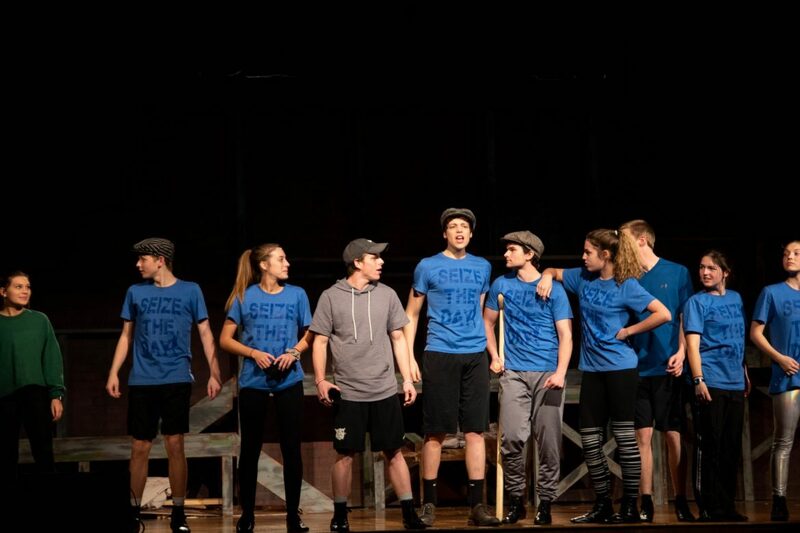 For this year’s fall musical, Harding Academy’s Wildcat Theatre Company will perform Disney’s “Newsies,”a musical inspired by the historical 1899 newsboys strike in New York City. Harding Academy senior Asher Patten plays the lead male role, Jack Kelly, one of the newsboys who leads the strike against the newspaper The World. Harding Academy junior Kadyn Harris plays the female lead, Katherine Plumber, a reporter who writes the article about the newsboys strike. The “Newsies” hosted Camp Newsies on Nov. 9-10. More than 50 kids showed up to learn a song and dance from the show and how to “strike” and talk like a newsie over the course of three hours at the academy. The purpose behind this event was to raise money for the Child Safety Center of White County. The “Newsies” cast and attendees raised more than $500. Melanie Blansett, director of “Newsies” and the Wildcat Theatre Co., oversaw the fundraising effort and said that it helped to encourage interest and involvement in the show with elementary-aged students and the community. Junior public relations major Ava Galyean has assisted the “Newsies” cast as the public relations intern and dance captain for the show.